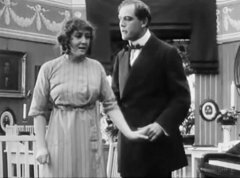 "The Springtime of Life" is a drama starring Victor Sjöström (Seastrom), a star of Silent Hall of Fame. A little orphaned girl goes through many trials and tribulations before finding her place in life and her true love. 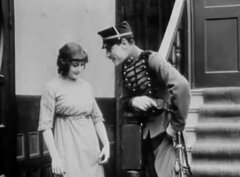 The film stars Victor Sjöström and features Mauritz Stiller in acting roles. These two personalities in a few years would graduate to directing and become world famous through their masterpieces created both in Sweden and in Hollywood. 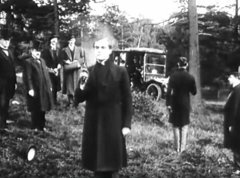 Before WWI European cinema was the most advanced in the world and "The Springtime of Life" is an example of a very mature film from the early years of movie making. Mauritz Stiller in "The Springtime of Life" (1912). Victor Sjöström declares in "The Springtime of Life" (1912). 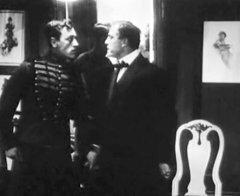 Mauritz Stiller is confronted by Victor Sjöström in "The Springtime of Life" (1912). Victor Sjöström is ready for the duel in "The Springtime of Life" (1912). Victor Sjöström meets his love again in "The Springtime of Life" (1912). 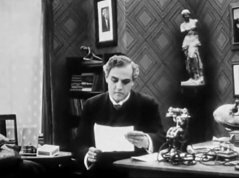 Victor Sjöström in "The Springtime of Life" (1912).